In Store & Online: Print a $5 coupon instantly after sign up plus get trend updates and exclusive special offers through email. Your $5 coupon will look like this. Sale: Famous Footwear has a sale on Nike shoes - save up to 60%. Sale: Great savings for Converse fans! Click and get up to 85% off Converse shoes. - Famous Footwear Store Locations. - Price Match Guarantee: If you find a lower price within 30 days after purchase, Famous Footwear will refund your purchase. In Store: Visit or download their app to access a 15% mobile coupon good towards all skechers shoes. In Store: Valid at famous footwear and famous footwear outlet stores, coupon must be printed and presented at the cashier or you can show offer on your smartphone. To use online enter code: FRESHSALE at checkout. Friends and Family. Print coupon or present coupon on your mobile phone and save 20% off you entire purchase. Valid on men's and women's New Balance shoes in Famous Footwear stores, excludes new balance for kids. Buy now, and get a $10 discount on a future purchase of $50 or more. Redeemable from March 22nd to April 12th. Buy one, get one half off sale storewide plus print a 20% coupon for members and a 15% coupon for non members. 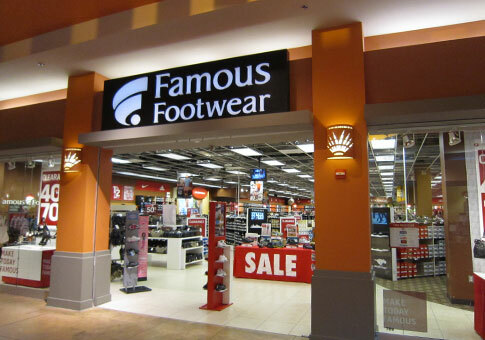 Famous footwear is a shoe retailer that provides their customers with well-known shoe brands in the latest styles for men, women and kids. Their prices are very competitive; they also have many discount promos available for their customers. Be sure to check out their Clearance department online and use these Famous Footwear coupons for even more savings.